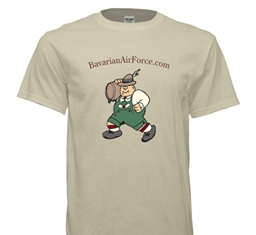 We do have a few T-Shirts available for order on a Gildan Ultra Cotton T in “natural” color. As you know, it’s always better to look good than to feel good. Order some swag & have a beer…and you’ll have both at the same time. Check back from time to time as we may add a few more goodies if we’re feeling so inspired. Prices: $18 (S-XL). $20 (XXL-XXXL).